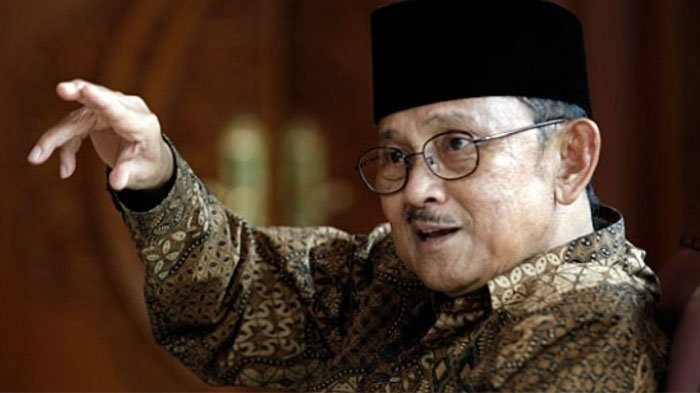 I think almost all the Indonesian people familiar figure on this one, he is known as an expert in aircraft once used to be the 3th President of the Republic Indonesia and now choose to live in Germany, Bacharuddin Jusuf Habibie, or better known as BJ Habibie. This time I would like to share one theory that he created while still active in the field of aircraft. In 1960 the development of aircraft technology has not been as quickly as now, the number of aircraft accident which occurred because of fatigue on the fuselage. Usually the critical points of this fatigue occurs at the connection between the wing and fuselage, or between the wing and engine mounting. Because these elements are continually experiencing strong shocks, both when you're taking off or landing. When taking off, unplugged receive air pressure (uplift) are great. When touched down this section also bear the blows of the fuselage. As a result exhaustion happen, and it was the beginning of cracks (crack). More and more cracks were more elongated and can be fatal dangerous, because the wing can be broken without warning. This leads to greater potential for fatigue. That's when BJ Habibie came to offer solutions. Was he who discovered how to crack propagation point it works, which became known as the theory of crack progression. With his theory, Habibie succeeded in calculating crack it in detail until the count of the atom. This not only can avoid the risk of plane crashes, but also make it easier and cheaper maintenance. The theory of crack progression or better known as Factor Habibie, the portion of the plane steel frames can be reduced and replaced by the dominance of aluminum in the body of the aircraft. And to reduce the weight of the aircraft without passengers and fuel weight to 10 percent of the weight konvesionalnya. Habibie factor also has a role in the development of merging technology airframe section by section. So that the cylindrical fuselage connection with the oval side of the wing can withstand air pressure when planes take off. So also in connection with the landing gear fuselage is much more robust so that it can withstand the load when the plane landed. Stabilization of Construction problem in the tail of this plane can be solved only in the Habibie period of 6 months only. Discoveries relating to the construction of aircraft known as the theory of Habibie, Habibie factor, and methods of Habibie.